Much-Needed Bastion Buffs Coming to Overwatch | Nerd Much? 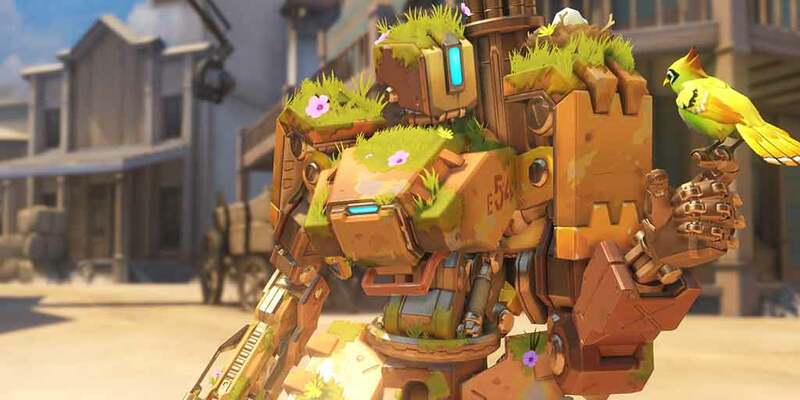 For fans of Overwatch‘s gentle giant, Bastion buffs are about to make the character a whole lot more viable. Soon you might be seeing a lot more of him. Over in the game’s forums, an entire thread is dedicated to players’ interest in upgrading Bastion. One such player, Rarithlynx, voiced his concerns after more than 90 hours with the character. Thankfully, it looks like Bastion buffs are well on their way. In response to the concerns, game designer Geoff Goodman revealed some of the adjustments they have been working on. Players should have a chance to test the tweaks soon. While in recon mode, the gun will have less spread and an increased magazine size. 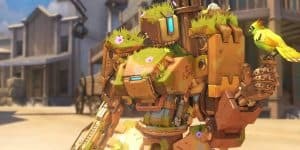 As a sentry, Blizzard wants Bastion to be more of a tank-buster while also feeling less suicidal. To help with that, they have tested tweaks like increasing the spread and removing headshots, but lowering the amount of damage received in this mode. Lastly, Blizzard made some changes to self-repair. In their current build, Bastion can repair while moving without it being interrupted when taking damage. To balance it out, it is now on a resource system similar to D. Va’s defense matrix. What do you think of the Bastion buffs? Do they make him enticing enough for you to give him a try?